I am very excited (elated and ecstatic) to announce that my newest book, Be That Mom hits the shelves October 1, 2013! (You can pre-order it here.) I have enjoyed writing Be That Mom and truly hope that you will find it useful in your life too. 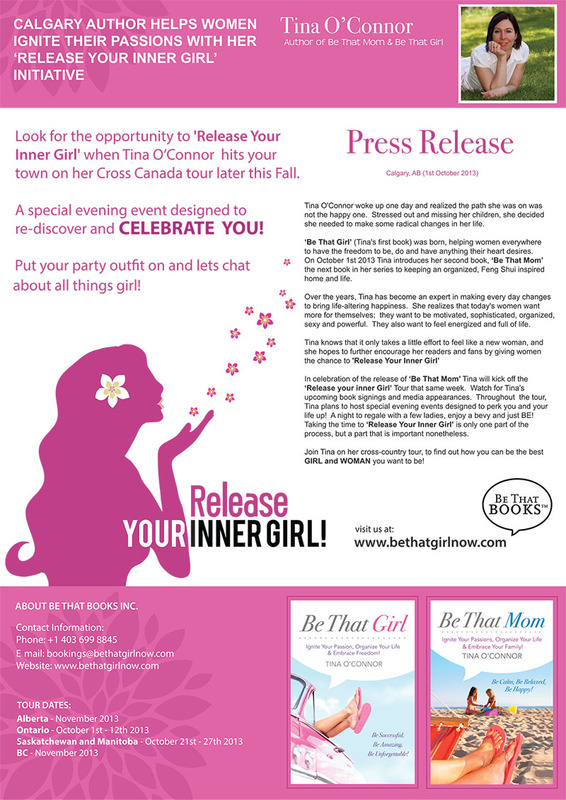 With this release, we begin the ‘Release Your Inner Girl’ initiative. I endeavour to inspire and challenge women to find what ignites their passion for life on this tour… so maybe I’ll be lucky enough to meet you!?! Stay tuned for updates on the cities I’ll be visiting on my upcoming cross Canada book tour!